If you were in charge of Willy Wonka's factory, what kinds of sweet treats would you invent? Would you sing songs with the Oompa-Loompas? Or ferry a boat down a chocolate river? 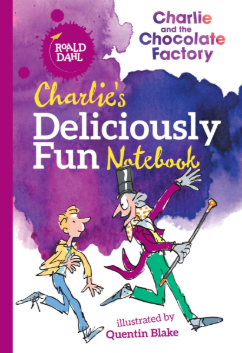 Let your imagination run wild as you explore the world of Charlie Bucket and Willy Wonka in this delicious interactive journal! Featuring Quentin Blake's classic art and excerpts from Roald Dahl's beloved story, the puzzles, games, writing prompts, and activities are the golden ticket to hours of fun!